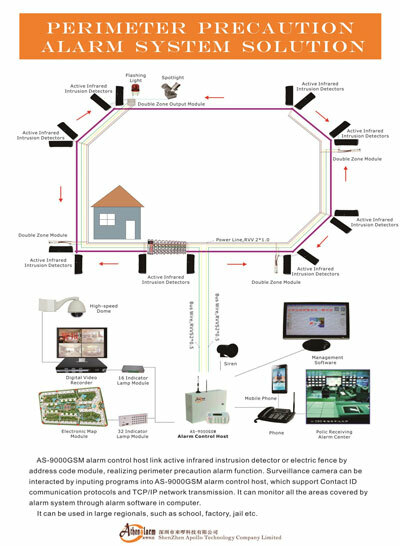 Click here or the picture above to read the details about the network alarm system application. 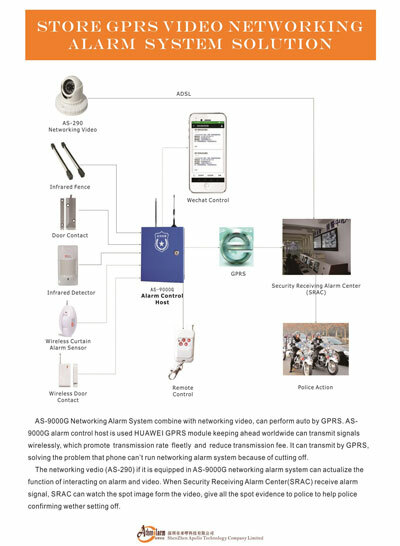 Note: According to our customers' requirements, Athenalarm has been designing professional comprehensive alarm system solutions and manufacturing burglar alarms to meet their specific needs for over 10 years. 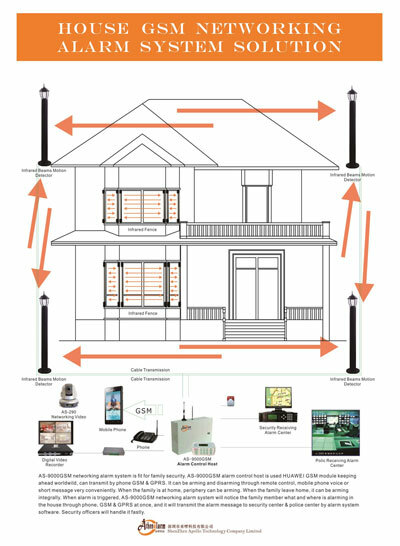 Our customers include banks, schools, houses, stores, factories, warehouses, airports, zoos, governments, and intelligence communities, among others. 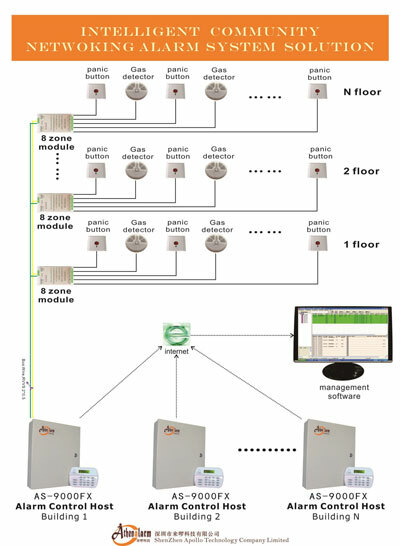 Athenalarm AS-9000(S) alarm control panel supports 16 wired and 30 wireless zones. 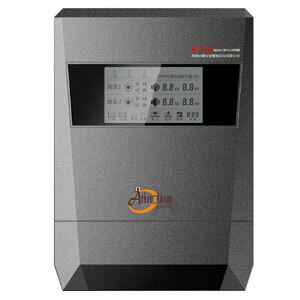 It adopts advanced 32-bit ARM microprocessor. 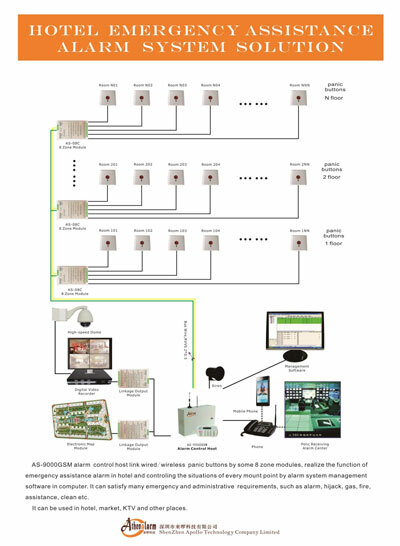 This guarantees the high integration, high reliability and a variety of flexible interface. 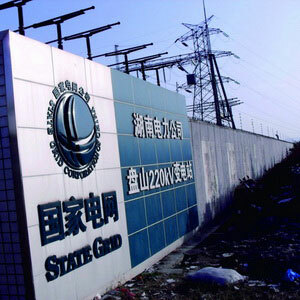 It can store 6 groups of alarm telephone number, and at the same time two groups center number (e.g., the public security bureau 911 turning center). 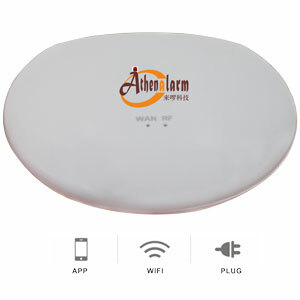 It can upload alarm information through PSTN, GSM, GPRS, TCP/IP communication networks. 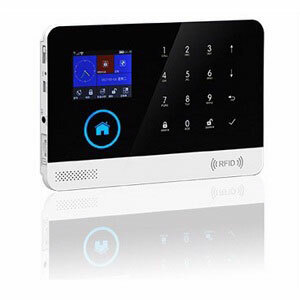 The control panel is suitable for families, residential quarters, villas, commercial auxiliary networking, the financial system, authority institutions, industrial parks, schools, libraries, hospitals, and many other areas. 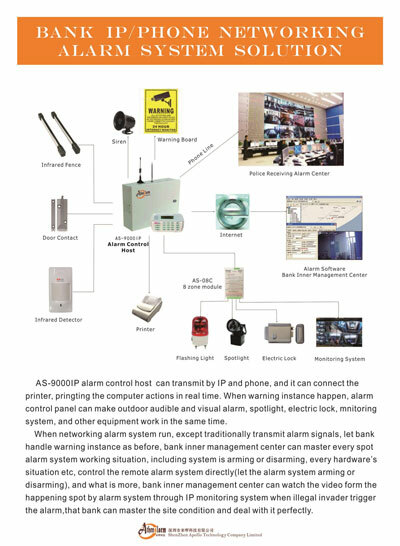 Athenalarm sincerely hold the tenet of “quality first, customers supreme” in mind. 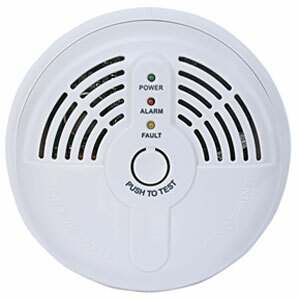 We produce a variety of alarm products to meet the demands of different customers. 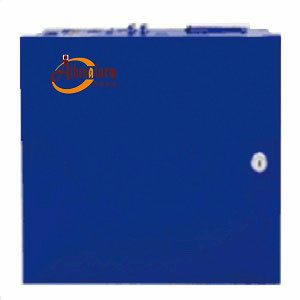 Adopting advanced equipment with solid techniques, our high quality products are strictly tested before being put into the market. Furthermore, Our well-equipped facilities and excellent quality control throughout all stages of production enables us to guarantee total customer satisfaction. All of our products comply with international quality standards and are greatly appreciated in a variety of different markets throughout the world. 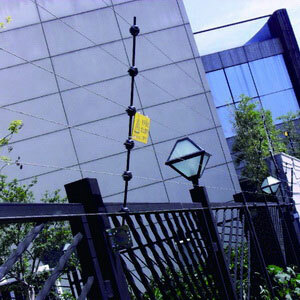 Electric security fence is the first line of defense in security system, but also the most important of a line of defense, set blocking, deterrence and alarm triple function in one of the latest perimeter security equipment, give pulse shock to the intruder(low energy, not causing harm to the person) to deter the intruder, shake its climbing fence motive, delay the invasion time, achieve the purpose of blocking, and sent the intrusion signal to the alarm center, reduce the incidence rate.